Robogals hosted their 10th Anniversary Gala on July 14, bringing together current volunteers and alumni to celebrate Robogals’ achievements over the past decade and reflect on the nights’ theme – Diversity, Development and Disruption.The event was generously hosted by the Melbourne and Monash chapters here in Melbourne where Robogals was founded in 2008. Our Asia Pacific Regional Executive Officer, Chelsea Edmonds and Global Chief Development Officer, Caitie McClelland opened the Gala night with a Welcome to Country before passing onto our Chief Executive Officer, Ami Pasricha, who welcomed attendees, presented our Robogals 2020 Strategy and recapped our recent key milestones. Robogals’ newly appointed Board Chair, Dayle Stevens (http://daylestevens.com) , led the night of guest speakers during entrees. Dayle recounted how she was first involved in Robogals. 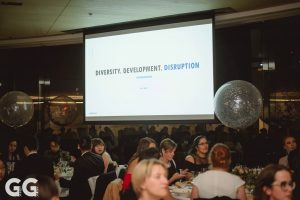 As Divisional CIO at AGL Energy, and a widely respected technology leader in disruption, Dayle revealed how spending time with Robogals volunteers continues to inspire her and help her reignite the spark to keep challenging the boundaries of her work. The first guest speaker of the night was Professor Karin Verspoor, Head of Computing Systems at the Melbourne School of Engineering. Karin has considered herself a woman in technology ever since she built her very first computer program at just nine years old! 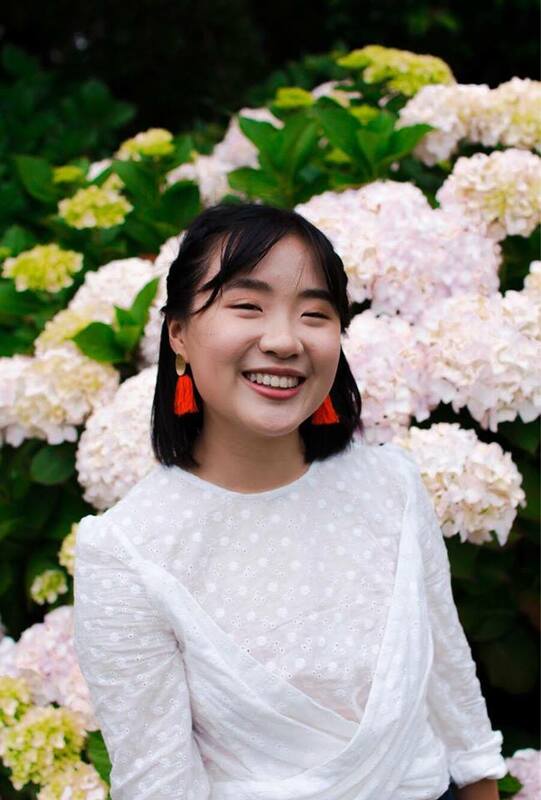 Karin identified ingrained sociocultural norms, a leaky education system, and strong stereotypes perpetrated by the media landscape as the three dominant issues in the battle to bring awareness to females in the STEM fields. Organisations like Robogals play a crucial part to disrupt this status quo by acting as a pipeline to get young girls into the field. The second guest speaker was Professor Elizabeth Croft, Dean of Engineering at Monash University, who took audience members journey through her life and career in STEM. She highlighted the men and women who have empowered and supported her along the way to reflect on the importance of including both men and women in conversations surrounding STEM gender equality to achieve real and long-lasting change. 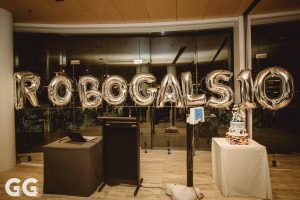 Guests were then entertained by two Melbourne chapter volunteers, Karine Lim and Nathan Batham, who debuted Robogals’ first theme song! In their closing speech for the night, Robogals founder Marita Cheng joined co-founder Mark Parncutt remotely via Teleport, a telepresence robot for remote communication built by Marita’s start-up, Aubot (https://aubot.com/index.html ). Mark and Marita recounted meeting in their second year of university while running a robot design competition which sparked the idea for an organisation that would engage and inspire girls to a career in STEM…Robogals! Robogals would like to thank our generous supporters who made the evening possible: the Melbourne School of Engineering, Monash Engineering Faculty, the Melbourne Robogals chapter and the Monash Robogals chapter. 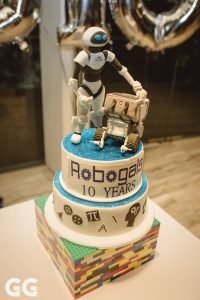 May the next ten years be just as successful as the first ten have been at Robogals! Next StoryRobogals’ Design Thinking Day, “how will we reach 200,000 by 2020”?